Not every band is capable of coming up with a breakthrough record that sees them take what they do well and drive it to the next level. To me, that doesn’t mean they come up with something that happens to catch ears and sells a lot of records. Instead, I mean when bands improve upon an already successful formula and do something above and beyond their history. Maybe Castle won’t be in the top 20 of best sellers on the Billboard charts, and perhaps they’ll never ascend to a major headliner act that sells out major clubs. But what they’ve managed to do on their third full-length record “Under Siege” makes me believe perhaps they can reach those heights, and if they do so, they will have done it on their artistic merit and the power from this fantastic record. Even if that major success doesn’t come with this album, they should be proud they made a great heavy metal record that’s as blast of fun to listen to and really starts to pay off the potential Castle always had in them. And it’s a true heavy metal record in the classic sense, with high drama, great blasts of epic glory, and a grasp of the things that made bands such as Iron Maiden, Black Sabbath, Mercyful Fate, and Dio so great. 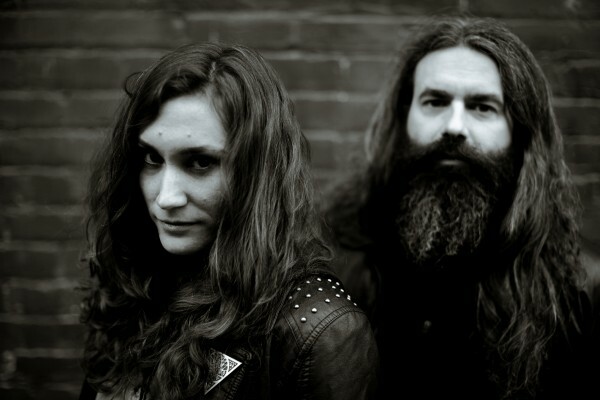 Now, the band—vocalist/bassist Elizabeth Blackwell, guitarist Mat Davis, drummer Al McCartney—have not left behind their doom-laced, Occult-flavored metal that we heard on their debut “In Witch Order” and their great sophomore record “Blacklands.” It’s still there, but it’s only one element of a greater whole. The sound is far more realized, Blackwell’s vocals take on a different, more dangerous personality, and Castle have a shot at reaching a wider audience now with this record. 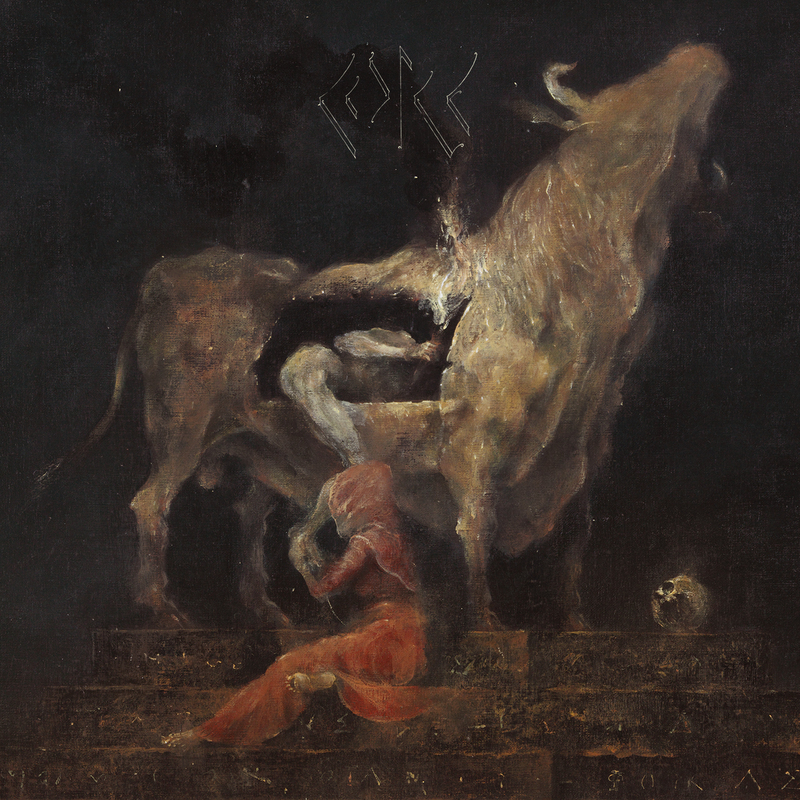 It sounds like an organic progression to this point, and their foray into metallic sounds of old never feels forced and really makes this record so special. It’s the reason I believe this is their breakthrough album, because they truly seem to understand what they want, how they want to sound, and how to get where they need to be. You don’t have to wait long to get a sense for how things have progressed for Castle, as they assault you out of the gates with opener “Distant Attack.” The guitars are spirited and high energy, and Blackwell’s singing is soulful and has a classic metal bend to them. The last part of the song really pours gasoline on the fires as they gallop full speed ahead and right into “Be My Ghost,” built on some great riffs and smoky vocals. The music is thrashy in spots and delivers some body shots, while Blackwell wails, “The fire never dies.” “A Killing Pace” is a pretty apt description of the song, as the guitars are dark and threatening, the pace calculated and bruising, and the sounds sweltering with an evil intent. “Pyramid Lake” is full of attitude, with Blackwell barking, “All right now!” as if she’s paying tribute to Ozzy, and the band chugs along with her, delivering a meaty tempo, killer guitar soloing, and a memorable assault all around. “Powersigns” takes its time to get started, with guitars meandering and setting a tone, but then it leads into a tasty, classic doom section that feels like their older work, with Blackwell singing about a house of misery. The music matches the darkness of her words, and the song is equal parts ominous and catchy as hell. The record’s highest points land with the next two cuts, starting with “Labyrinth of Death,” one of the best cuts in the band’s catalog that opens with a Steve Harris-like bass gallop, hazy guitars, and a pure 1980s feel. The lead guitar work is scintillating and inspired, and toward the end, the pace begins to pick up gradually, until it reaches a climax with Blackwell howling, “All death is near.” “Temple of the Lost” then settles into a damn cool doom groove, with Davis lending his growls to add some dark shades to Blackwell’s singing, and as usual for Castle, the riffs are nasty and awesome, driving this great track forward. Closer “Evil Ways” is a bit of a downer, as Davis and Blackwell sing together—he growls, she wails—and the formula just doesn’t feel quite right. But musically is delivers, and it’s just a slight misfire on an otherwise tremendous record.